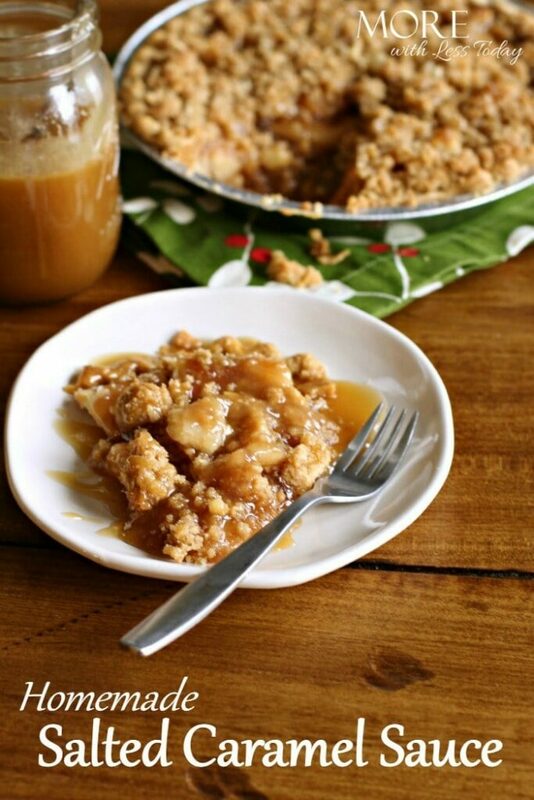 If you don’t have time for pie baking but you want to add a homemade touch, here is an easy holiday hack for homemade salted caramel sauce on a store bought Dutch Apple pie. 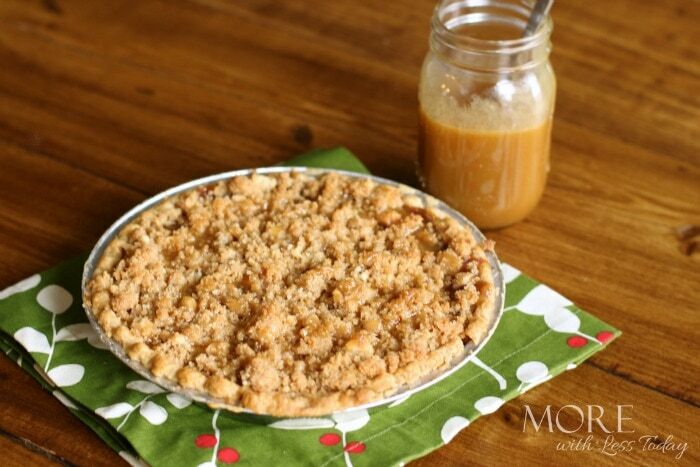 By adding our simple homemade caramel sauce to the store bought Dutch Apple pie, we still have homemade flavor without all the added time in the kitchen. This combination is delicious and sure to please your guests. 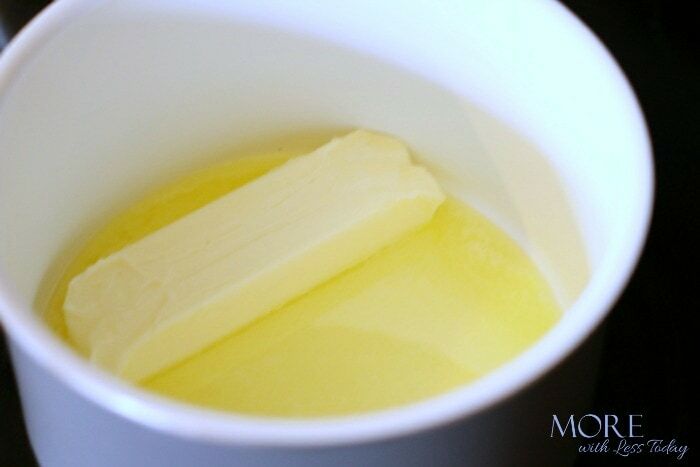 Over medium/high heat melt the butter in a sauce pan. When the butter has melted completely stir in the brown sugar. 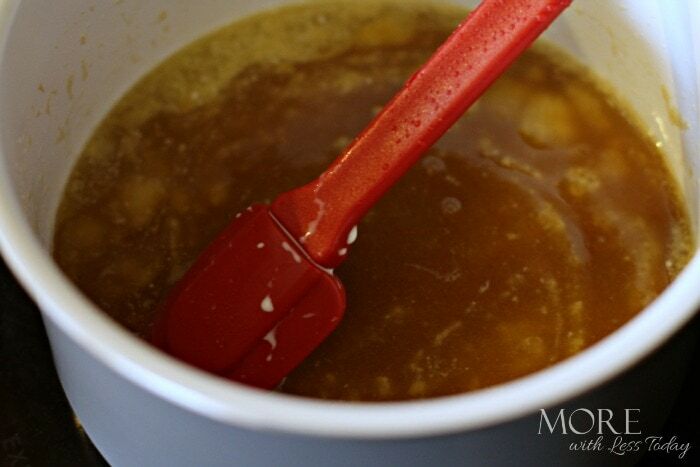 Continue stirring the sugar and butter for 2 minutes over the heat. After 2 minutes, stir in the whipping cream. Continue stirring the mixture over heat for another 2 minutes. Remove the mixture from the heat and stir in the vanilla and then the salt. Pour into a jar or bottle for serving. 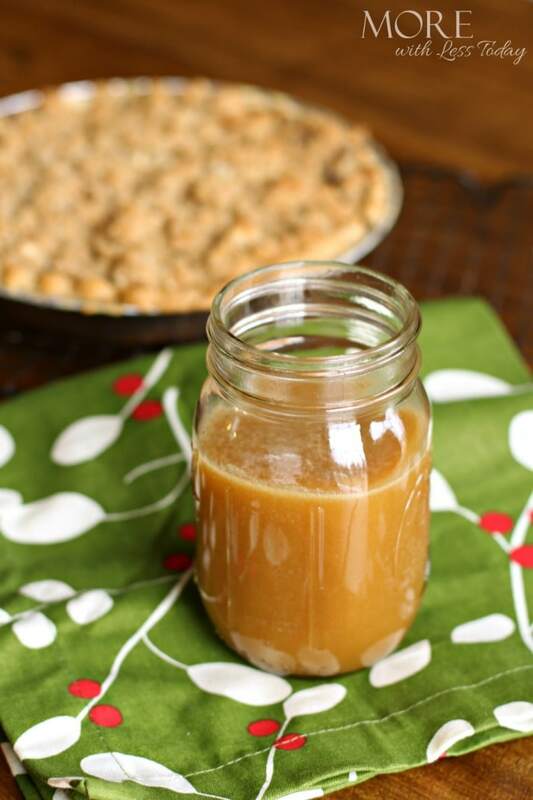 This Homemade Salted Caramel Sauce could not be easier to make! 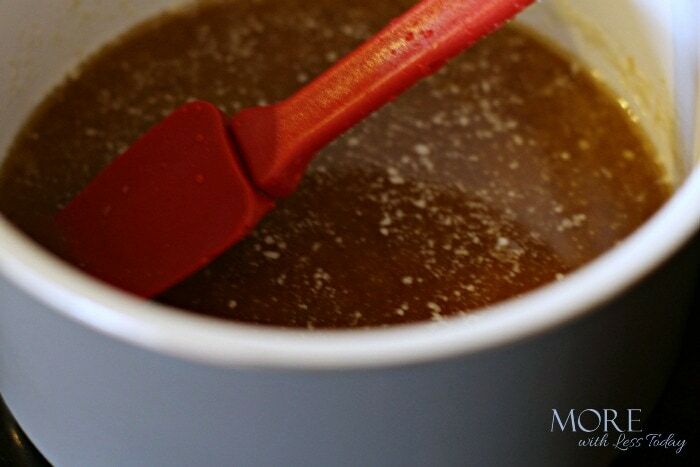 No candy thermometers, no boiling hot sugar, only 5 ingredients and about 5 minutes or time. Don’t stress with making every dish from scratch, just add your own personal touches for easy holiday hacks. 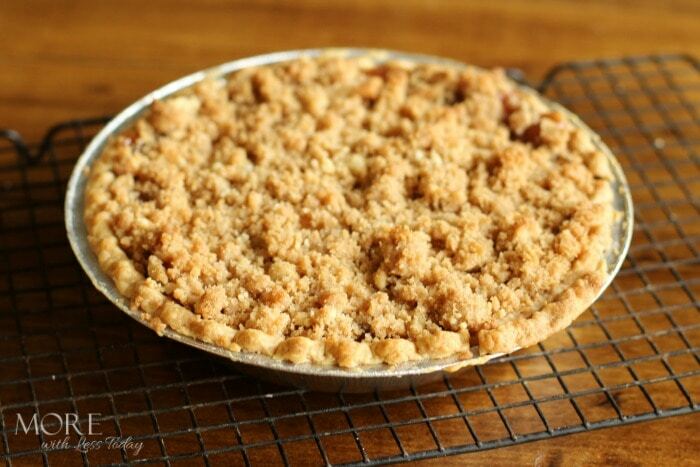 Instead of spending hours spent making a dessert, consider a quality store-bought pie and add your own special touches.